Founded in 1915, Federal Process Corporation began with just one product - Gasoila (pronounced Gas-oil-ah) Hard Set Sealant. In 1994, a product was created for the industrial business to remove sealant, now known as Tub O' Towels. However, once it was discovered that this strong wipe had thousands of uses outside of the industrial space, it was introduced to the retail market in 2011. Now, seven years later, Tub O' Towels Heavy Duty Cleaning Wipes is a staple in auto body shops and garages across the US. Tub O' Towels is not just for greasy outdoor projects. Tub O' Towels is also great for cleaning the daily messes that all of us deal with. These heavy-duty wipes can be used on strollers, car seats, car interiors, carpets, floors, walls, and so much more! Made in the USA, these 100% solution-soaked cleaning wipes lift and dissolve dirt so it can easily be wiped away. Its quilted design offers cushioning and surface texture (non-abrasive), which provides more scrubbing power for the effort, while staying gentle on your hands and surfaces. Tub O' Towels Heavy Duty cleaning wipes come in a 40-count or 90-count tub and single usage packs for on-the-go messes, perfect to tuck into your diaper bag and glove compartment). Tub O' Towels are available at Amazon, Walmart (in the auto aisle), The Home Depot, Lowe's, hardware stores like Ace and True Value, and automotive stores (O'Reilly's, Advance Auto, Auto Zone). Today over at Thrifty Nifty Mommy, Janessa is sharing a recipe for King Tut's Treasure Slime plus talking about how Tub O' Towels solves the huge mess that making and playing with slime can create! I've teamed up with Janessa and a few other bloggers to bring you a great giveaway featuring Tub O' Towels! 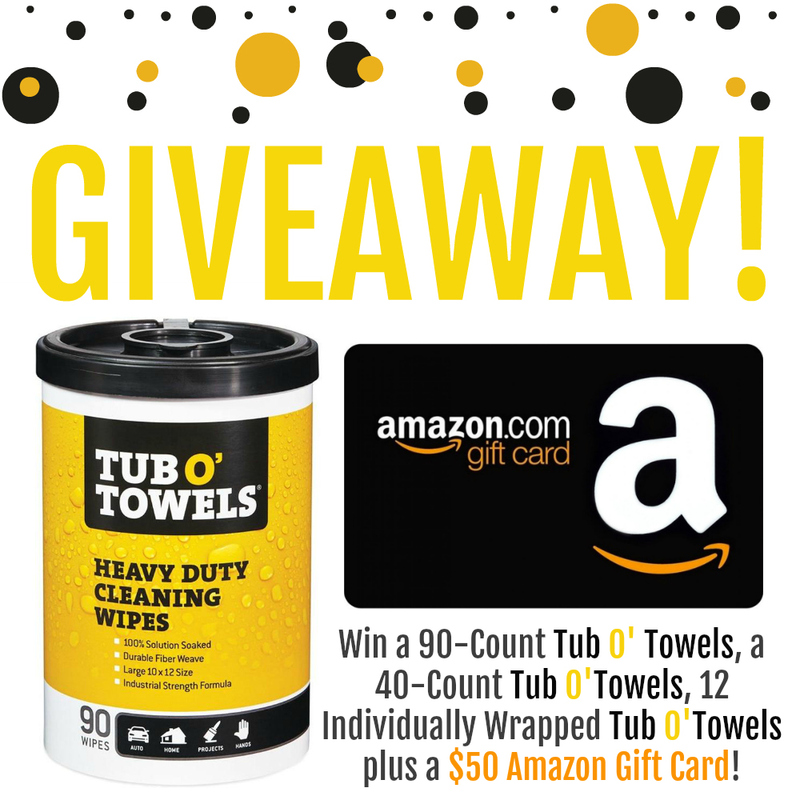 One lucky person will win a prize package featuring a 90-count, 40-count, and 12 single on-the-go packs of Tub O' Towels PLUS a $50 Amazon gift card! 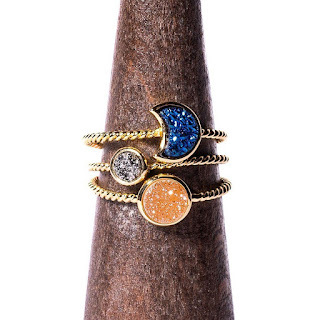 This giveaway is open to residents of the US only and ends August 14th, 2018. Enter using the Giveaway Tools entry form below. Good luck!